How much stuff did you accumulate? When did you last wear that sweater? Do the shoes make you feel better? Do you read the books on your shelves? Can repair men move where they choose? What’s the meaning of the stuff there? Is your house getting fat? It happens far too easily and in the simplest of ways such as stopping by the store to pick up one thing and leaving with a cart full. Maybe your parents or a close relative are downsizing and you go to help and leave with a car full of stuff including furniture in a rented truck. Then there is the community or church garage sale where you buy more than you sell. Now you have too much stuff. When you do decide that you have too much, how do you decide what goes and where does it go? First, congratulations on making the decision because "nothing happens without a decision" and next, you need a plan for moving those items onto their next life. How much time are you willing to spend on this project and where will you start? What resources are available for donations, will you need a dumpster; can you get your family to help? What will the end result look like? Make the decision process easier by creating some rules to guide you. · RULE: I will keep no newspapers older than one week and magazines no older than 2 months. · RULE: Anything in my food closet older than a year will be donated to a food pantry or shelter. · RULE: When I clean out my linen closet, I will keep two sheet sets for each bed & 3 towel sets for each person. · RULE: I will clean out my clothes closet and keep only items I love and can wear. Some general rules will also come in handy. · RULE: If it's worn, torn, stained or broken, out it goes. · RULE: If it smells, bulges, or oozes it goes bye-bye. The key here is to decide before you start so that you will be less likely to get hung up on "they’re pretty, I like it, it was a present, they were moms, or I paid good money for that". Each decision moves you closer to your goal or farther away. Which way are you going? The new school year is a wide open canvas-take advantage of this opportunity to put new systems in place for the school year as well as revisit the tried and true ones that worked last year. All you need is a plan and the commitment to follow through on the new ideas. A homework caddy is a container that holds all the supplies your child needs to complete homework assignments. Items such as pencils, erasers, rulers, and scissors could be included in the caddy. By having these supplies readily available, your child will be more independent, have better focus, and you will also save money. Children will experience independence by completing homework assignments without having to ask you for supplies. Having supplies handy will allow for greater concentration and more time on task. Lastly, you will save money by knowing what supplies are on hand which prevents the purchase of duplicate items. You will need to decide what to do with every paper that comes home from school. Other than trash or shredding, here are three options to keep papers organized-take action, reference or memorabilia. · Action items should be handled right away. These consist of field trip forms, teacher letters, invitations, and anything that requires your signature. Put them in a colored folder or on a special spot on your desk to remind you to do them. · Reference items can be filed in a family binder that holds all your important school information such as teacher contact information, class lists, and schedules. · Memorabilia can be tossed into a special box or bin and then sorted through periodically. If your child makes a large item that will not fit into a box, take a picture of your child with the item and then pick a time limit to keep the item on display. Back to school routines and habits are essential to organizational success for you and your children. The habits that you develop at home will carry over to your children's lives now and in the future. Good luck with the new school year! Do you ever look around your home and think “I don’t really need this stuff anymore…I know, I should have a garage sale.” Then the thought of all that collecting and pricing and setting up and haggling for $50 bucks makes you think twice. With a bit of planning (and organizing, of course) you can host a successful sale without stressing you or your family out. The easy answer is anything and everything that you aren’t using, have in duplicate and think is worth something. If you’re trying to decide between a sale and just donating for a tax write off, consider what you have to sell. Garage sale attendees snap up tools, baby/toddler toys and clothes, reasonably priced furniture and gently used kitchen items. Items like books, adult clothing, overused kitchen items, and outdated publications rarely if ever bring in large sales. Consider if what you have to sell is worth the effort when you account for the hours to set up and run the sale. If you only have a few pieces of furniture or clothing that you feel may be of value, consider consigning those items and donating the rest rather than using up your summer weekend. To make the set up of your sale easier, consider buying pre-printed price tags like these that you can slap on items as you collect them from around the house. Once you decide to host a sale, make sure to apply for any permits required by your municipality and collect the items that you want to sell, you need to decide how much to price your goods. Remember, the idea of having a sale is to make money so your effort is worthwhile. If you price items too high, you will spend time pricing and running a sale only to end up donating the items in the end. Don’t price items with what you paid in mind. On items that are gently used but in good shape, ask 50-70% of original price paid and be prepared for someone to offer you less. On items like clothing, books or toys don’t expect to get much more than about 10% of the current value. Remember, if someone can get a T-shirt you’ve price $1 for $.25 at the thrift store, they will. Click here for a handy garage sale pricing guide. For larger or unique items, check E-bay or Craig’s List to see what similar items are priced. Alas, your sale is complete and you deem it a great success. Now what to do with the remaining items. After all, you already made the decision to get them out of your house. The longer the “unsolds” stick around in your garage, the greater the chance that they’ll sneak back into your home. Plan to load up unsold items and take them to your local thrift store immediately at the close of your sale or, even better, schedule a pick up by a local charity at the end or the following day. If you believe what you are donating is worth more than $300 and plan on taking a tax deduction, be sure to make an inventory of what is left and its value for your tax records. Click here for a guide to the value of donated goods. Best of luck and happy selling in your garage sale. 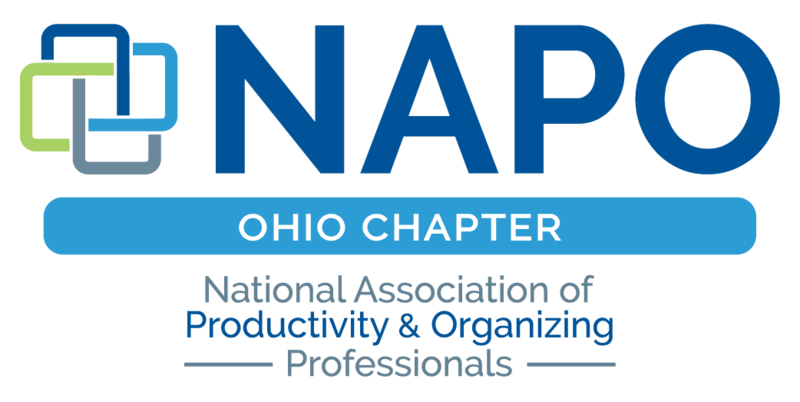 Remember, if you start to feel overwhelmed in organizing your sale, return to NAPO-Ohio.com and check out a professional organizer in your area that can help you have your best sale ever. 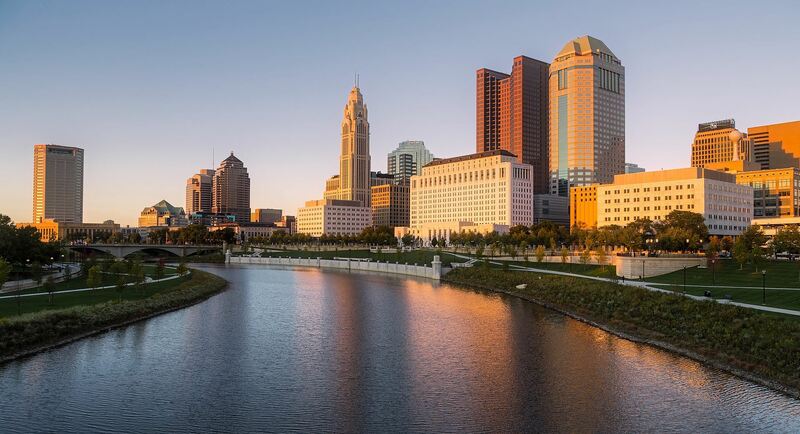 Christy Lingo is a NAPO-Ohio member, professional organizer and owner of Simple Solutions Design serving Columbus, Ohio and the surrounding area. As a professional organizer, I hear the word Freedom mentioned quite often. Clients from all walks of life have a common goal when it comes to their "stuff.” They want to be free from the clutter that has taken over their basements, closets, garages and offices. How did it get this way? Why do we have so much? Eventually we reach a point where we simply can't look at the piles any longer. Our stuff owns us! We are burdened by the visual noise that all of this stuff screams at us day after day. It steals our time as we look for items we need. Sometimes we buy a new item only to find the original item several days later in the PILE. If you are feeling controlled by your clutter, fear not. It is time to dig deep and discover why you have the clutter. Once you understand the issues behind the accumulation of clutter, you can take steps to reverse this problem. Below are some tough questions to ask yourself when you feel ready to start the process of change. Do I keep things that no longer serve me because I paid "good money" for them? Is my closet full of clothes that may fit me some day? Am I keeping items I don't like because they were a gift? Do I purchase new items to fill a void in another part of my life? Is there so much stuff that I have no idea what is in the bottom of the pile? Do I love this item enough to care for it and store it properly? What opportunities am I sacrificing by storing this item? Is my calendar packed full because I don’t know how to relax and enjoy time with myself? By being honest with yourself about the clutter, you have taken the first step towards living with less. Knowing why you have clutter and making a choice to change will bring you benefits you never thought possible. More time. More money. Less stress! What is better than this? If you have answered some tough questions, you may have a good idea of how to stop the piles from continuing to control you. NAPO Ohio organizers are here to help you through your journey toward a life free from clutter. Many families move during the summer months and with moving comes stress. Having an organized move will make the experience a much less stressful event. First, whether you are moving around the corner or across the country, moving costs money. You either pay for the hours and number of movers needed or for the amount on the truck and miles. You can reduce this cost by eliminating some of the items you are moving. Some families have months to plan their move, while others have only weeks. You can have an organized move in both instances. One will just require a little more work in a short period of time. If you are in charge of arranging the movers, make sure you ask some neighbors, friends, or relatives for their recommendations. It can make a big difference going with a mover others have used versus going with the mover with the cheapest price. If you are lucky enough to have time before your move, go through closets and boxes to make sure you want to pay to have those items moved. Are you willing to pay to have boxes of magazines, or stuffed animals moved? Make decisions on decorations around the house too. Maybe the style and colors of your new home will be different. If the items are small or replaceable, maybe you are better off leaving them behind. If you have not opened a box or needed any items in that box for over a year, do not pay to move it. That box will just sit in the same spot in your new residence. Take into consideration the amount of space you will have for storage especially if you are moving into a smaller residence. To make your move less stressful, make sure you have a checklist of events that must occur before your move. Once you have set up the movers, began the sorting in your home, start calling about stopping and starting utilities, change of address, and cleaning of the residence you are leaving. The day before the move, call to check on the mover and the time of arrival. Pack clothes for the evening and the next day or two. If you are moving across the country, make sure you pack for the number of days needed. The day of the move, make sure you have food available for your family and drinks for the movers. They appreciate if you think of them and they will handle your furniture and boxes more carefully. If you are not paying someone to unpack, start the unpacking as soon as they deliver them in the new residence. Try to get the kitchen and bathrooms done first so you can make small meals and get a shower and dress as soon as possible. Those 2 rooms in order immediately will make your move much less stressful. If you have small children, have small projects for them to do out of the way or have a family member entertain them for the day. Moves can be hard on children so keeping them entertained will keep stress level down for everyone involved. When the furniture is all in and the movers are gone, let them help in the arrangement of their room. Being a part of the move and their room will help them in the transition. Has your dining room table or kitchen counter become the dumping ground for keys, purse, mail, chargers, backpacks, school work that needs a signature and the food section from last weekends Sunday paper? Ask yourself why is this stuff here and why does this always happen.? It’s there because you do not have a landing zone and people coming in and out of the house are going to drop whatever on the nearest flat surface. This is an easy fix but will take a bit of effort re-training your family. Look at the door you use most often, does it have wall space to work with? Think hooks for backpacks and purses and a small shelf with a bowl for keys. Is there an electrical outlet? Ikea has a great little shelf with 2 drawers that could hold chargers for your cell phones and maybe a flashlight. Add a couple of decorative wall file holders to corral school papers and the recipes you want to take with you shopping. Now add a mirror for that last personal check before you go out to meet the world. Is the hallway wide enough for a bench? An open bench creates a natural place to stop and unload whatever you are carrying and take your shoes off. Add a large open basket that house-shoes are kept in and your home will be cleaner. Stuff comes in stuff goes out, and everyone needs to be taught this is a landing zone and that nothing lives here permanently. 1. DECIDE: Look around the room and decide how much space to devote to storing toys. Pick an appropriately sized storage unit to hold the bins, baskets or containers in the chosen area. If possible it is best to choose a storage unit or furniture after evaluating what and how much you will store on it. That way you can make sure there is enough space for everything. Work to limit the amount of toys in the space to the chosen shelving unit or cabinet. 2. EDIT: Choose regular interval to go through toys and purge based on age appropriateness, use and/or damage. The change of seasons always is a great reminder to check and pare down toys. Get in the habit of practicing the 1-in, 1-out rule when a birthday party or the holidays are right around the corner. 3. LABEL: Picture labels are a great way to teach younger kids where to put toys away. If you have a reader in the house, consider putting both a picture and word on the label. Self-adhesive pockets like these are perfect because they hold 4 x 6 photos or index cards and can change as the contents inside the bin or container change. 4. EXPERIENCE: OK, this doesn’t really apply directly to organizing toys, but it can help keep the influx of toys under control. Rather than gifts constantly adding to the toy stash, consider asking relatives and friends to contribute to experience gifts. Ballet classes, music lessons, zoo memberships and trips to the amusement park can get expensive but will contribute richly to a child’s development. Family members get the added bonus of watching how their gift is used at games, recitals or a family day out. Keeping a playroom in order requires daily maintenance. 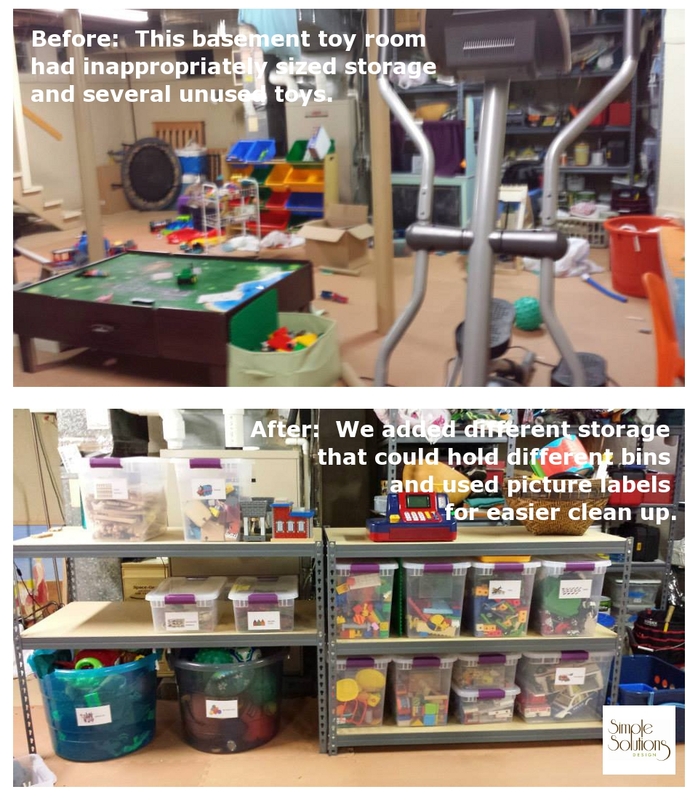 By devoting appropriate sized storage, storing only toys that are used, labeling what is stored for easier clean up and slowing the flow of what comes in it becomes easier to maintain the order without needing to threaten to take all the toys away. Christy Lingo is a professional organizer and owner of Simple Solutions Design in Columbus. She is also the mother of two young boys and works daily (some days better than others) to practice what she preaches about organization with them. It doesn’t matter if you are going to Orlando, Ontario or your local amusement park for the day – the preparation is what will set you up for a fun filled event! These tips will set you up for success every time you travel! Start one week ahead of your departure and confirm all pertinent information such as reservations, required documentation and hours of operation. Create a place in your home that will be the gathering location for EVERYTHING you will need for the trip. Having these items together in one place will help insure that nothing is forgotten at the last minute. Call your bank to tell them you will be out of the area using your credit or debit card. This will alert the bank and you will not be denied any purchases. Let family or friends know of your plans along with departure and arrival dates. Make a copy of any credit cards and documentation you will be traveling with. Keep this information with you at all times in case of lost or stolen purses/wallets. You will be able to act quickly and follow up with banks and lenders quickly! If you will travel by car, why not start by cleaning your car and making sure everything is in good working order. Pack some healthy snacks and bottled water. Traveling by plane? Pack any daily medicines and a good book with your carry on luggage in case of delays. As you begin to pack, know the weather in your destination city. Only pack for the activities you will be participating in. Avoid over packing! All hotels offer laundry services so why drag around a heavy bag? As you depart on your journey don’t worry about all the “what if ”scenarios. You are organized and prepared. Now it is time to RELAX, REFUVENATE and RESTORE! How many times have you said, “Just put it down in the basement?” It’s so easy to put things into the basement and forget about them. But sooner or later even the basement gets filled up and must be dealt with. Home décor from previous homes. Often times you are holding on to these items because they were expensive. Except that your tastes has changed and donate or sell these items. Items from your children who have their own homes now. It’s time you get to enjoy your home the way you want it. Give these children a deadline to pick up their items. Many times when you make these belongings their responsibility they no longer want them. Out-dated electronics. The likelihood of you ever going back and using these is very slim. Start donating electronics the minute you upgrade to the latest technology. Exercise equipment. If it’s collecting dust in the basement chances are you’re choosing other ways to stay fit that doesn’t require this type of equipment. Holidaydecorations no longer used. The next time you decorate for a holiday, take a look at the items you did not use this time around. You probably no longer like them or have the time for them so donate them. Toys your kids have outgrown. If you must keep some, narrow them down to the few that have the most sentimental value and donate the others to a child who will enjoy them. School papers and textbooks. How many times have you revisited these boxes? Past greeting cards. I have organized many homes and with very few exceptions does anyone ever go back and reread these cards. Enjoy them for awhile after you receive them and then part with them before you’re tempted to box them up. Books. Books take up a lot of space and are heavy to move. Boxed up books rarely get looked at again. Books that are important to you are displayed on a bookcase and taken care of. If they are boxed and thrown in the basement they probably were important, but no longer are. The list goes on; clothes that no longer fit, instruments long forgotten, flower vases overflowing shelves, past collections, VHS tapes, outdated luggage collecting dust, trophies piled up in boxes. If you’re tired of spending time organizing the basement, figure out whom you are today and then take a look at what you are storing. Unused items cost you space, time, money, and keep you from using the space more efficiently. Let them go. You will help yourself and someone else who may need these items.